Nothing…because that’s pretty much what we did today. Having stayed up until about 3 am this morning I slept in ‘til about 11. Jan fixed sandwiches for lunch, and then after lunch, we again did nothing. But nothing this time also included a nap. About 6 pm we drove over to Ryan’s for supper. Jan and I both love their fried chicken, and this time was as good as usual. We got back to the rig about 7 and continued doing pretty much nothing. And that was about it for the day. Getting back to our recent visit to Vandalia, IL. 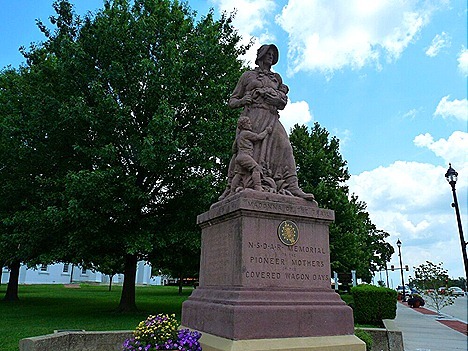 Vandalia is another town that is home to a Madonna of the Trail. The Madonnas are a series of twelve 18 ft tall statues erected in 1928-29 by the DAR (Daughters of the American Revolution), The statues were placed along the National Old Trails Road from Bethesda, Maryland to Upland, California, mostly along what is now US 40. The statues were not carved, but were cast from a mixture of crushed marble, Missouri granite, stone, cement and lead ore in identical molds. 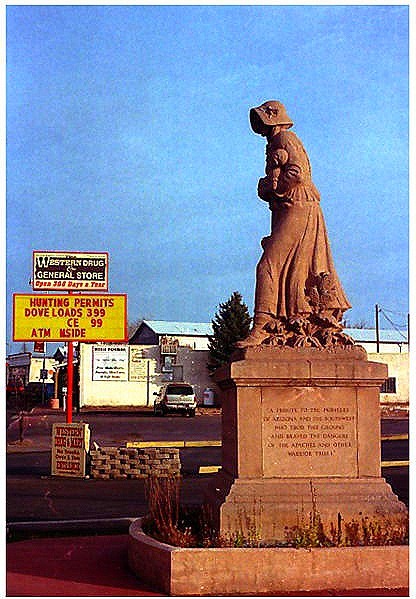 We saw another Madonna in Springerville, AZ when we were visiting Nick and Terry Russell in Show Low, AZ back in June. We’ll try to catch some others as we travel around. Our real purpose for being in Vandalia was to visit Jan’s sister Debbie and her family. 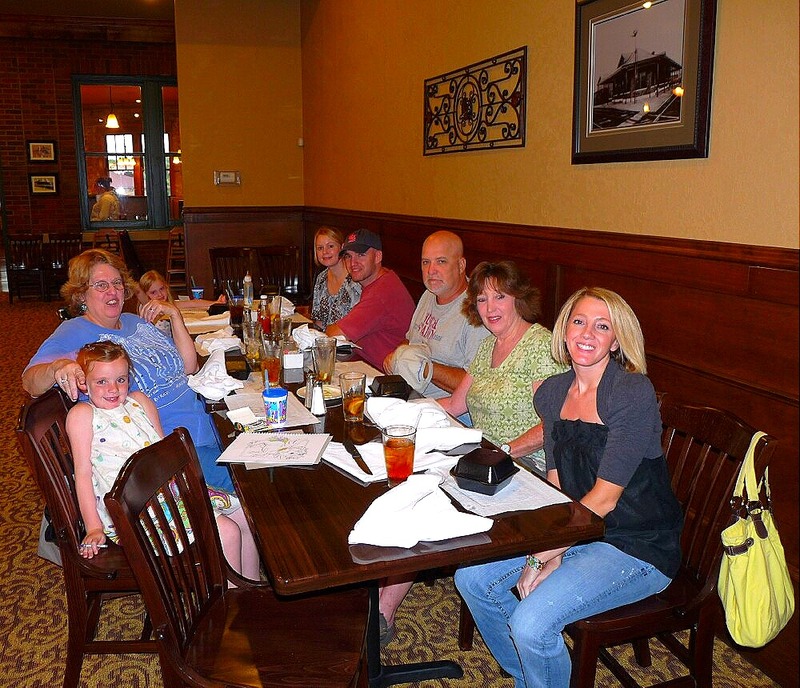 We all got together at The Depot, a local restaurant, and had a great meal. 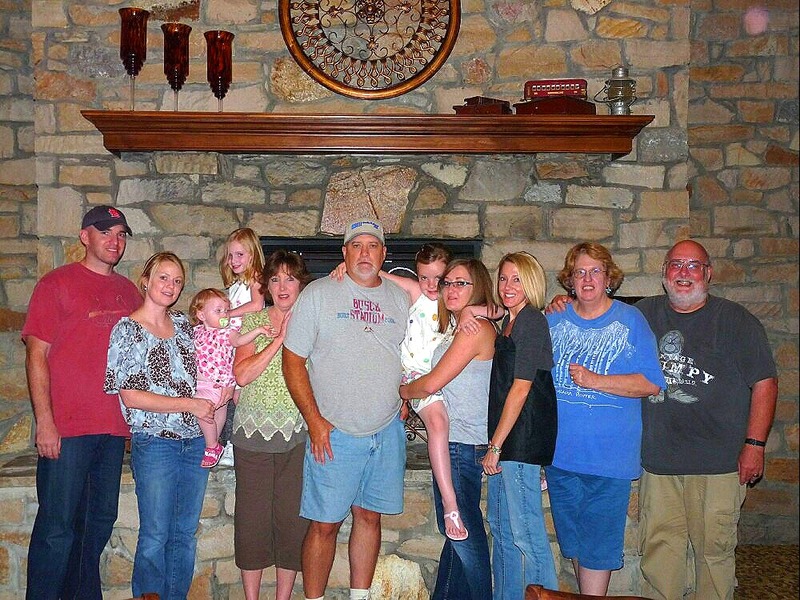 From left to right: Jason, Laura, Ella, Avery Jane, Debbie, Jim, Gwen, Christina, Tana, Jan, and Me. Now for the relationships. 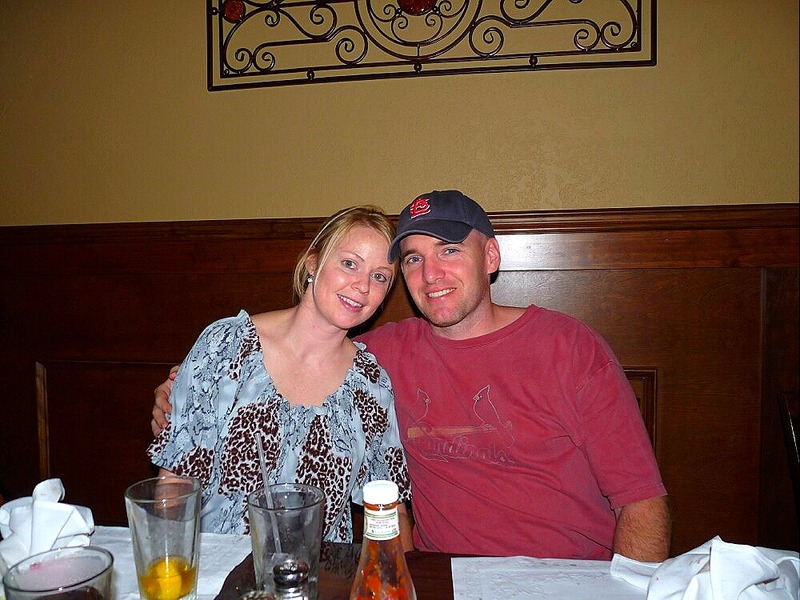 Jason is Debbie and Jim’s son, Laura is his wife, Ella and Avery Jane are their children. Debbie is Jan’s sister, and Jim, in the center, is her husband. Next is Debbie and Jim’s daughters, Christina and Tana. Christina is holding Gwen, who is Tana’s daughter. And of course, Jan and I. Hope you keep all this straight. There will be a short quiz at the end of this blog post. 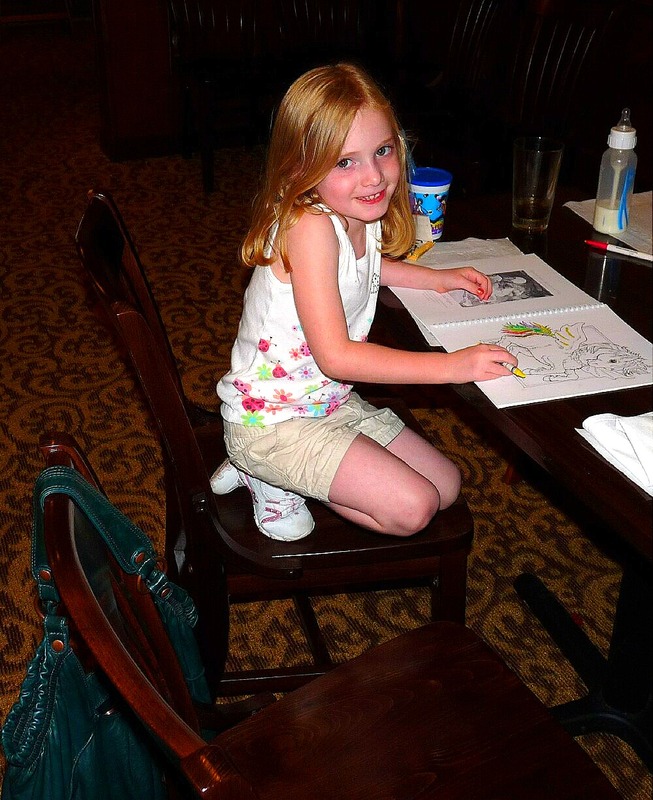 And this cutie is our grand-niece, Gwen, Tana’s daughter. 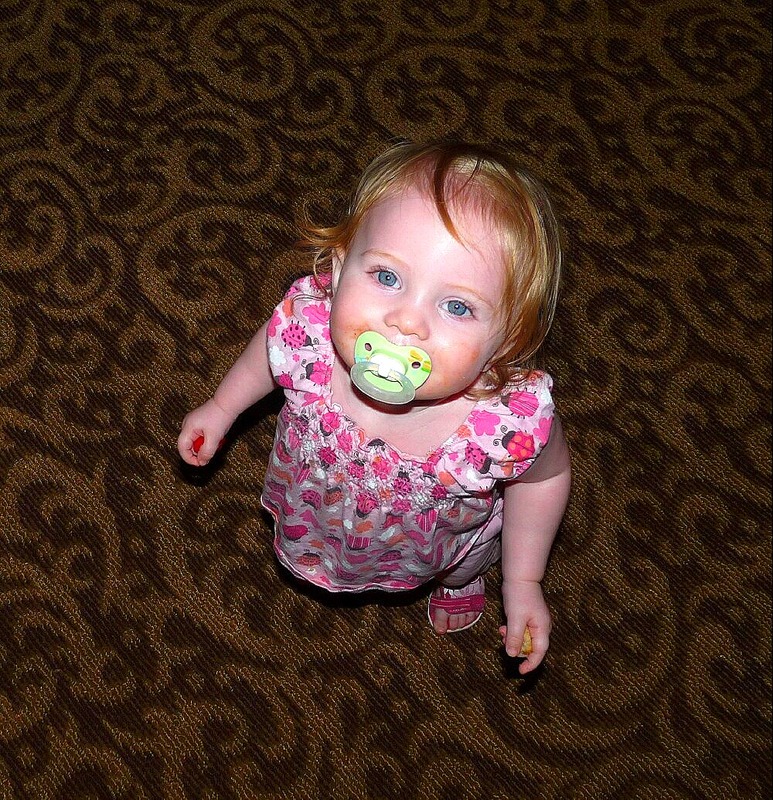 And this beautiful young lady is Miss Avery Jane, Laura and Jason’s daughter. 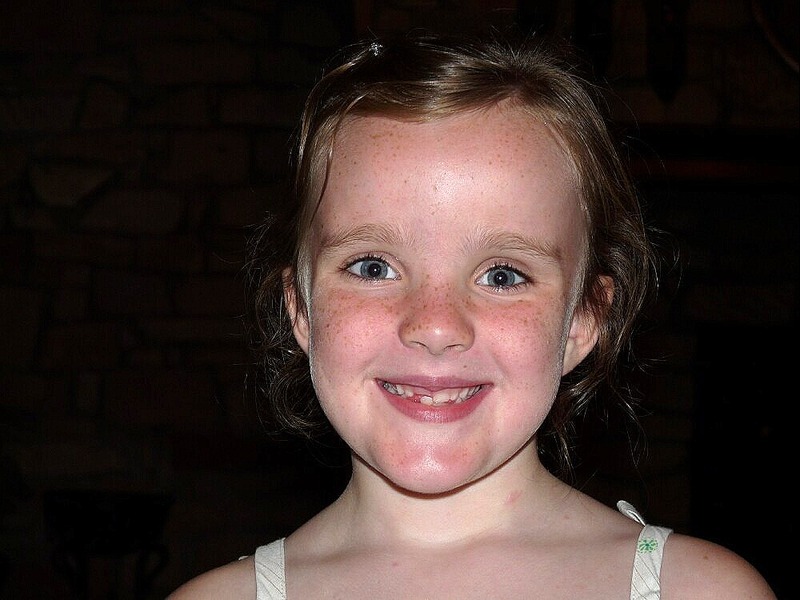 And this young lady is Ella, Jason and Laura’s other daughter. 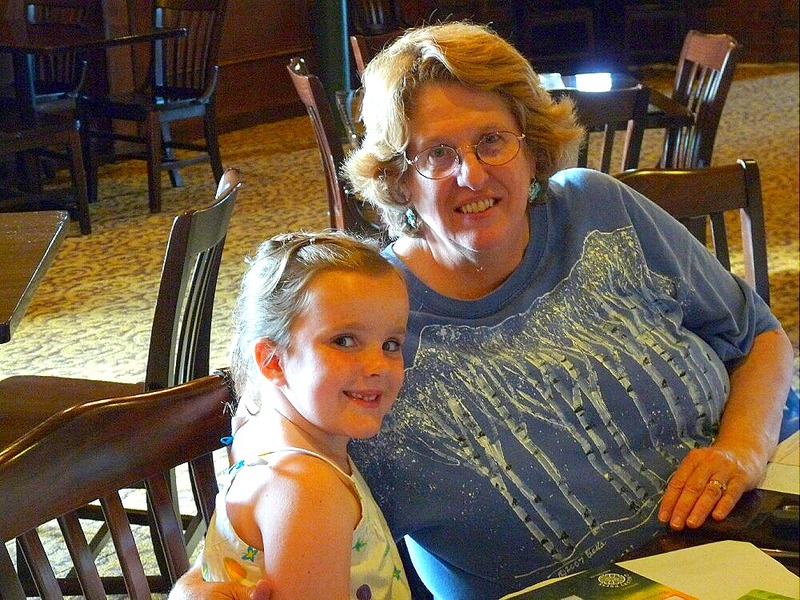 And this is my cutie, Jan, with Gwen. 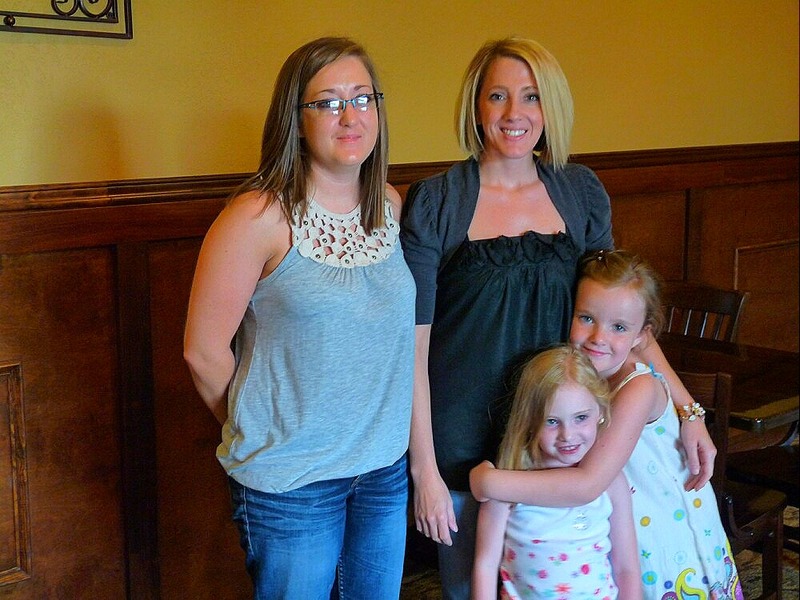 This is Christina, and Tana, our nieces, with Avery Jane and Gwen. And here’s one final shot of the entire group. We had our usual great time visiting with Jim and Debbie and family, and we’ll try to stop off for dinner on our way back to Texas the first part of September. 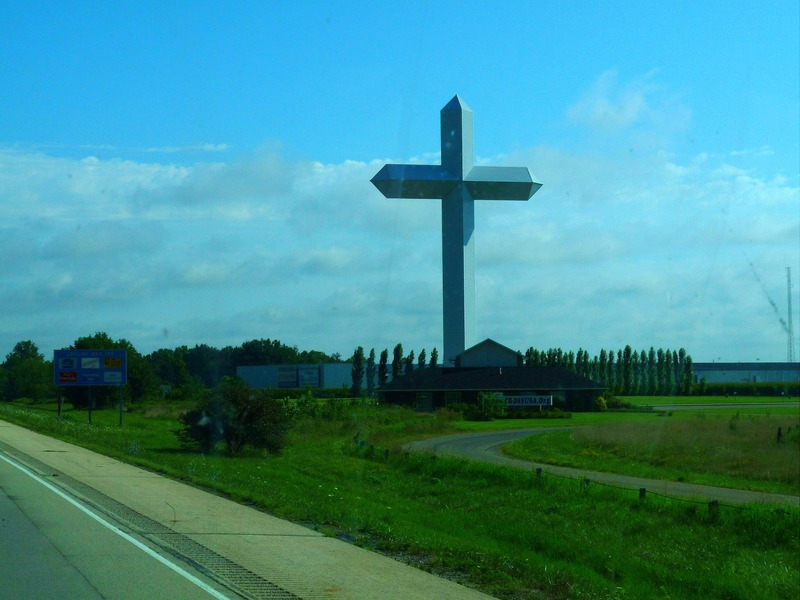 Leaving Vandalia on Sunday, and heading for Cincinnati, we passed by this two hundred foot cross just outside of Effingham, IL The Effingham Cross is located at the junction of I-57 and I-70 and is seen by about 50,000 travelers a day. And now for your quiz. Who is Avery Jane, and what is her relationship to Jan and I? And remember, this quiz will be 30% of your final grade. More tomorrow… or maybe nothing. The difference in genius and stupidity is that genius has it limits.